Fifteen years ago, two hijacked passenger airplanes brought down the World Trade Center towers in New York City. Another hijacked plane hit the Pentagon, the headquarters of the U.S. Defense Department. A fourth plane crashed in a field in the state of Pennsylvania. The areas where the September 11 attacks took place have been repaired and rebuilt, but the ground — and the lives of many Americans -- were forever changed. The damaged area of the Pentagon building, Islamic extremists flew a plane into it September 11, is seen in the early morning at sunrise with the U.S. Capitol Building in the background, September 16, 2001. The Pentagon is a large, five-sided building in Arlington, Virginia, just across the Potomac River from Washington, D.C.
Reporter Jamie McIntyre was following the U.S. military for CNN television on September 11, 2001. He spoke with VOA near the place where American Airlines Flight 77 struck the Pentagon. "You know, I always feel like this is sacred ground... I stood here on September 11…." And McIntyre reported what he saw – smoke rising from the building. He reported information that, at the time, seemed hard to believe. "Which would indicate that the entire plane crashed into the side of the Pentagon…"
"And to see this building, which is such an iconic structure, and almost looks like a fortress, to see part of it just crumble down into rubble and realize the number of people who died in the building and on the plane, it was one of those days when you could feel the world changing." 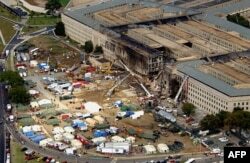 In all, 184 people were killed at the Pentagon that day. One hundred twenty-five were in the building. Fifty-nine others were on the plane. James Laychak’s world changed that day, too. He lost a brother. Now he is president of the 9/11 Pentagon Memorial Fund. The fund was set up to raise money to build a memorial near the place where the plane came down. In New York City, the look of lower Manhattan changed when the two World Trade Center towers were brought down on 9-11. In this Sept. 11, 2001 file photo, smoke rising from the burning twin towers of the World Trade Center after hijacked planes crashed into the towers, in New York City. Now, One World Trade Center stands close to where those twin towers once stood. The new structure is taller, and serves as an example of the city’s strength, and ability to come back from such a tragic event. People who were there that day will never forget what happened. Flora Mazzariello was a school teacher. "There were people who were involved and working in that area and they came to school to pick up their kids, they were full of plaster." Many New Yorkers who survived the attack can still agree on one thing: there is no place they would rather be. The fourth attack on 9/11 gets less attention than the ones in New York and the Pentagon. A wildflower meadow sweeps down from the Ring Road to the edge of the Wall of Names at the Memorial Plaza. 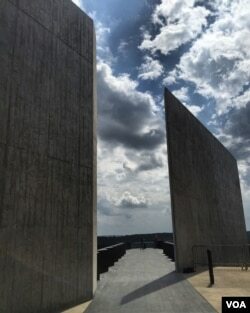 The Flight 93 National Memorial in Shanksville, Pennsylvania, remembers the 40 passengers and crew who died there. The huge 757 plane crashed into a grassy field, killing everyone on board. Terrorists had taken control of the plane. It was decided later that they were on a suicide operation to Washington. The passengers knew about the other attacks that had taken place a short time earlier. They understood what was probably going to happen to them, and decided to fight back. The plane then crashed into the ground. 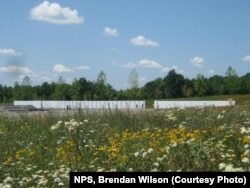 The U.S. National Park Service operates the national memorial in Shanksville. It has recordings of messages some passengers left on loved ones' voicemails. At the Shanksville memorial, CeeCee Lyle’s name is on a wall in her memory, along with the other people who lost their lives in the Pennsylvania field on 9/11, 2001. Anne Ball wrote this story for Learning English, with reports by VOA’s Carla Babb, Ramon Taylor and Julie Taboh. George Grow was the editor.